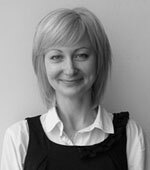 Dr. Ganna Pogrebna has worked in close collaboration with CRED as a Volksvagen Foundation Fellow from September 2007 to December 2009. Ganna studied Economics in the University of Missouri Kansas City and the University of Innsbruck (Austria). She holds a Ph.D. in Economics and Social Sciences from the University of Innsbruck. Before coming to Columbia University, Ganna worked as a postdoctoral research fellow in the University of Innsbruck (Austria), the University of Bonn (Germany), and Humboldt-Universität zu Berlin (Germany). At Columbia University Ganna worked on a project “Innovation and Coordination” sponsored by Volksvagen Foundation which was a collaborative effort between Columbia University, Humboldt-Universität zu Berlin and Wharton School of Business. Upon completion of the project, Ganna has taken a postdoctoral research fellowship in the Department of Economics in the University of Warwick (UK). Currently, Ganna is a research assistant professor (Leverhulme Fellow) in the Department of Economics in the University of Sheffield (UK). Ganna is interested in analysing individual and group decision making under risk and uncertainty (ambiguity) using laboratory experiments, field experiments as well as non-experimental data. She studies how decision makers reveal their preferences, learn, coordinate and make trade-offs in static and dynamic risk and uncertain (ambiguous) environments with policy applications to leadership, innovation, finance and healthcare. Ganna’s work aims to develop quantitative models capable of describing and predicting individual and group behaviour in static and dynamic situations in the face of risk and uncertainty (ambiguity). She is particularly interested in investigating the impact of imprecision and noise on decision making. In 2011 Ganna was awarded an Early Career Fellowship by the Leverhulme Foundation to conduct research on the topic “Pregnancy, Parenting and Risk Attitudes”. Together with her collaborator Hela Maafi (GREG-HEC Paris), Ganna also holds a grant from the British Academy to conduct research on the topic “Preference Reversals and Range Effects”. All recent news about Ganna’s papers and projects can be found on her personal website.